The above statistics are based on the "Analytical Greek New Testament" (AGNT) as provided by the "Bibloi" program from Silver Mountain Software. The present chapter divisions were first introduced in the Vulgate Bible in 1205 by Stephen Langton, a professor in Paris (later Archbishop of Canterbury). The present verse numbers were added in 1551 by Robert Stephanus, a book printer in Paris, again using the Vulgate Bible. 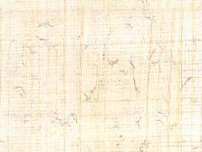 Due to the large number of textual variations in the surviving biblical manuscripts, the exact number of words is slightly different in each ancient and medieval Greek manuscript. The above figures for the number of verses per chapterinclude all verses found in most Medieval Bibles (when the verse numbers were first introduced), even though modern critical scholarship agrees that some of them were probably not part of the original texts, since they are not found in the oldest Greek manuscripts (e.g., longer passages Mark 16:9-20 and John 7:53--8:11; and individual verses Matt 17:21; 23:14; Mark 7:16; 9:44, 46; 11:26; 15:28; Luke 17:36; 23:17; John 5:4; Acts 8:37; 15:34; 24:7; 28:29; and Rom 16:24). The above figures for the total number of words per bookinclude both the "shorter ending" and "longer ending" of Mark's Gospel (16:9-20), as well as the story of the adulterous woman (John 7:53-8:11), but do not include the other verses listed in the previous note. red highlighting indicates lower # of verses than in the main table above. This page was last updated on September 2, 2005.